Save your search - find out immediately when "Pierre-Philippe Thomire" is available at auction! Pair of Patinated Cast Metal Winged Figures and a Pair of Patinated Cast Metal Cherub Decorated Vases. 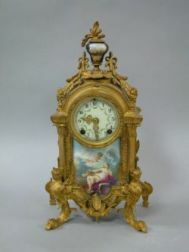 New Haven Clock Co. Louis XV Style Gilt Bronze and Scenic Decorated Porcelain Mantel Clock. 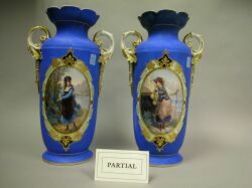 Pair of Ormolu and Champleve Mounted Decorated Porcelain Vases and a Single Vase. 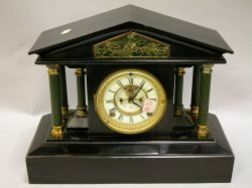 Ansonia Classical-style Gilt and Patinated Metal Mantel Clock. French Patinated White Metal Figural Mantel Clock and a Pair of Paris Porcelain Portrait Decorated Vases.